PUNE: Hosts Maharashtra walked away with the Overall Trophy for the Khelo India Youth Games, as they amassed a mammoth 85 gold, along with 62 silver and 81 bronze for a total of 228 medals. 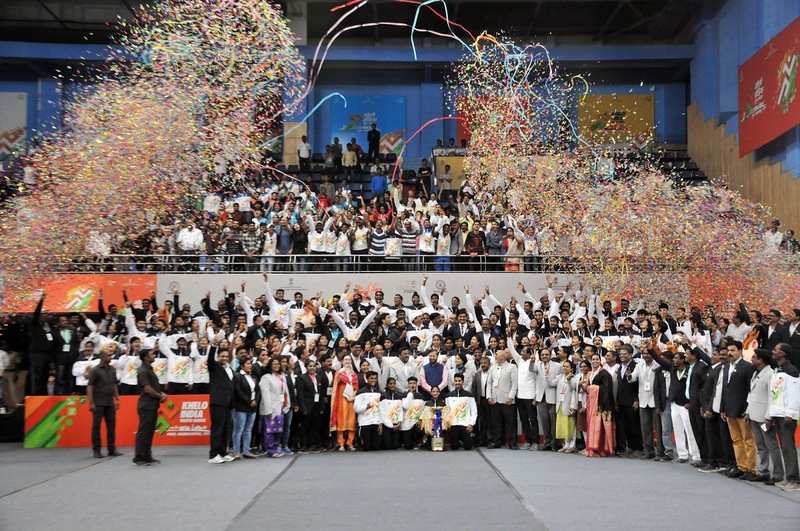 Their sportspersons and officials received the glittering Trophy from Prakash Javadekar, Union Minister for HRD and Vinod Tawde, Minister of Sports and Youth Welfare, amidst loud cheers at the Closing Ceremony held at the Shree Shiv Chhatrapati Sports Complex. 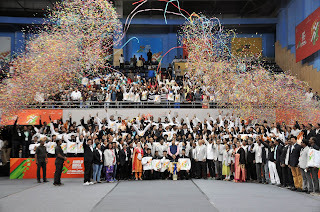 While congratulating the winners and all sportsperson Javadekar reiterated that “Khelega India tabhi Khilega India”. He further said that the New India as per Prime Minister Narendra Modi’s vision is here at the Sports Complex. One hour sports period will be mandatory in all schools, he added. With the sportspersons gathered around at the Shree Shiv Chhatrapati Sports Complex, Neelam Kapur, Director General of Sports Authority of India, welcomed the dignitaries, Prakash Javadekar, Union Minister of HRD, Vinod Tawde, Minister for School Education, Higher and Technical Education, Sports and Youth Welfare, Minority Development, Marathi Bhasha and Culture, Girish Bapat, State Cabinet Minister, Maharashtra, Mukta Tilak, Mayor, Pune, Rahul Bhatnagar, Secretary (Sports), Government of India, Vandana Krishna, ACS, Onkar Singh, Joint Secretary, IOA, Chaitanya Diwan, Sr. VP, Star Sports and Sandip Pradhan, DDG, SAI and CEO Khelo India Youth Games. On the final day there were 15 gold medals at stake and of them eight were in archery, where hosts Maharashtra, Jharkhand and Haryana picked two each while Delhi and Punjab got one each. Haryana asserted themself in hockey, winning the Girls Under-21 final to take their third gold in hockey from four finals, while Uttar Pradesh, West Bengal, Tamil Nadu and Kerala won gold each in volleyball. Manush Shah of Gujarat emerged the singles champion in Under-21 table tennis, while Saubhi Patwari of West Bengal won the Girls Under-21 singles.